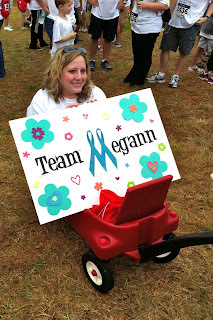 See-Dub: Team Megann hits the streets. 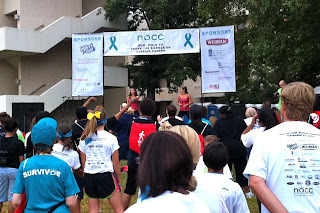 On Sept. 17, Katie and I joined some friends from church in the "Run/Walk to Break the Silence on Ovarian Cancer." 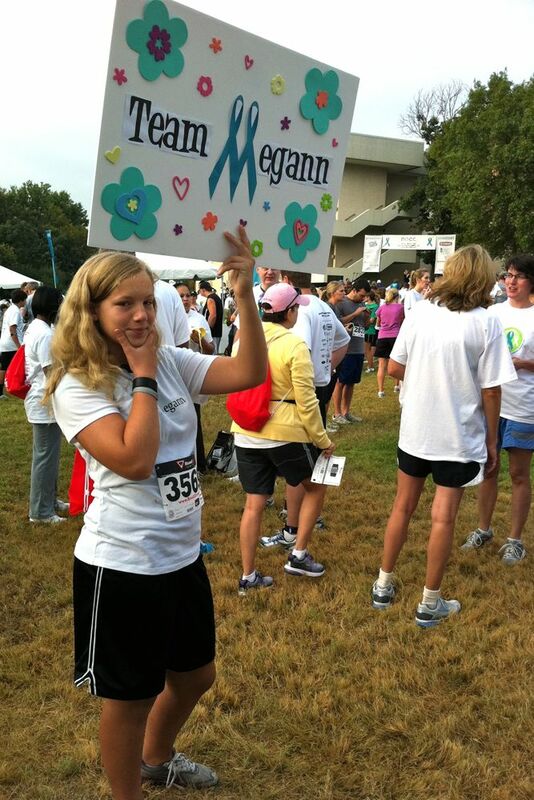 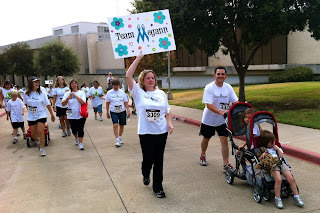 Our group, Team Megann, honored our sweet friend who died in 2007. Before the walk began, Katie and I tried a little Jazzercise. 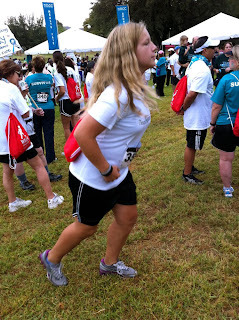 Our team also had to test all our equipment. It's so nice to know that your friends have your back! 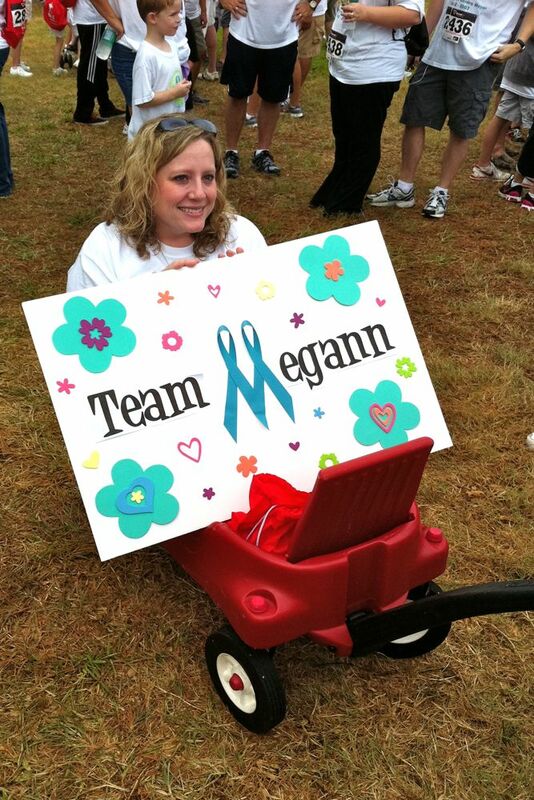 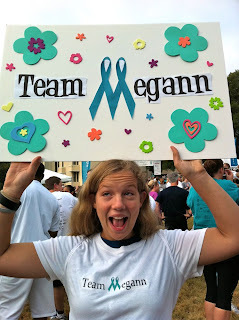 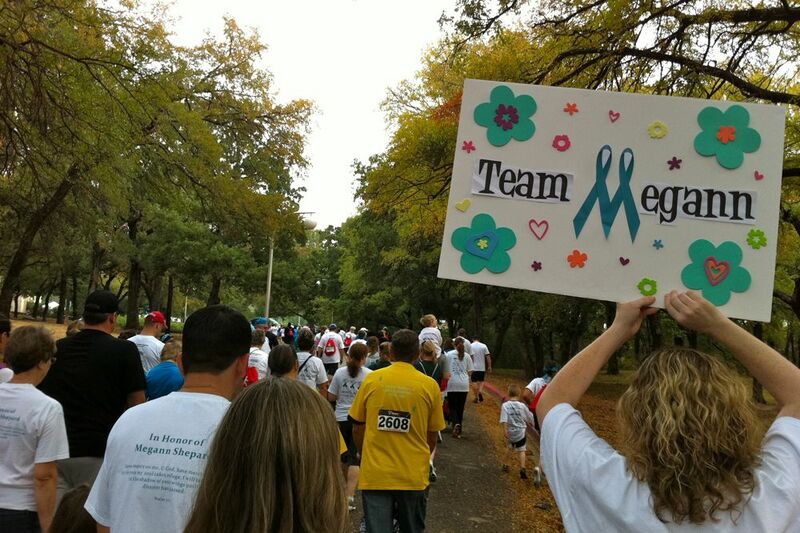 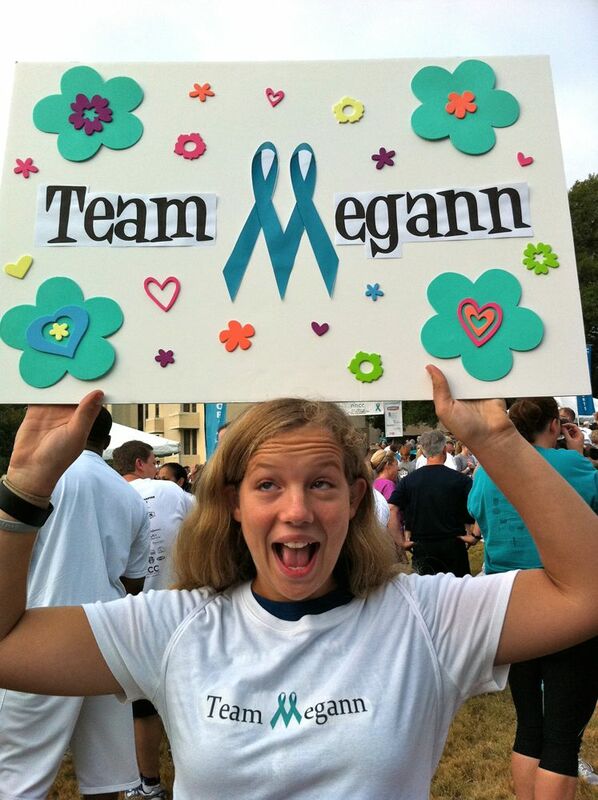 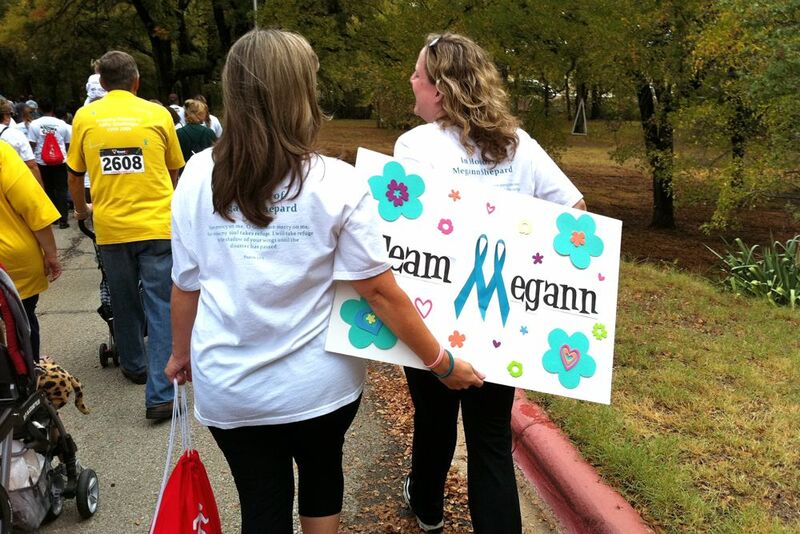 It was an honor to represent Megann at the walk. 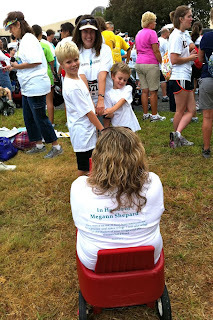 Seeing all the groups just like us, though, wearing shirts in memory of lost friends, was sobering. 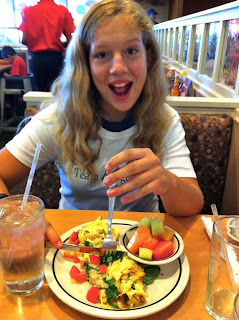 Our breakfast was such a treat! It was a great start to a fun Saturday.